The site, near Andover, was originally under the joint ownership and control of a partnership between George Wimpey and Taylor Woodrow. 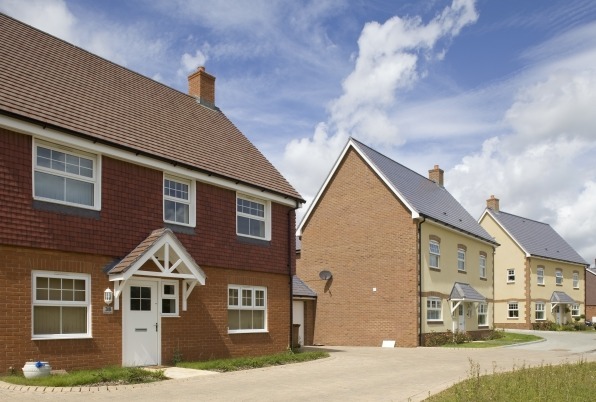 When the two companies merged in 2007 it was brought into the sole ownership of Taylor Wimpey. Our Strategic Land and Planning team assembled the site by bringing together three pieces of land belonging to different owners. Until we started to build the development, we actively managed the site: we put ecological protection measures in place; maintained the existing public right of ways across the site; and allowed farming to continue. Since planning consent was granted, our Southern Counties regional office has been responsible for the overall management of the site and its development. We have sold a part-serviced land parcel to a private developer, while another of our regional offices is developing a different parcel. By the end of 2016 a total of 1,300 homes had been occupied at Augusta Park. 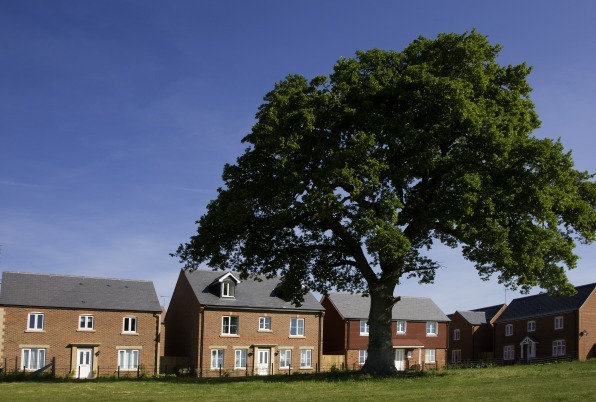 We promoted the site through the Local Plan and during this process formed very good working relationships with both Test Valley Borough Council and Hampshire County Council. Extensive community engagement helped us to successfully promote our development proposals and to achieve planning consent. We hosted public events, such as meetings and exhibitions, and distributed newsletters. Listening to local people and understanding their needs guided several key decisions, including the appropriate number and tenure of homes, as well as the type of community facilities that we should provide and when they would be needed. Later, during 2011, new residents were asked to fill in a survey about living at Augusta Park. This survey was carried out by the Community Worker, funded by Taylor Wimpey, who also produces regular community newsletters which keep residents and local people up-to-date with the development’s progress and promote community events, such as family bike rides, parent and toddler groups, and coffee mornings. The survey responses led to a mixed glass recycling bin and foil recycling bin being introduced at the community centre, the establishment of a Community Association and development of a community travel plan. The size and nature of the development requires major primary infrastructure works to support the homes and community facilities being built. In partnership with Test Valley Borough Council, we carried out a study of major infrastructure needs and improvements, focussed on roads and drainage. Guided by this study, we have put in place a comprehensive strategy to deliver infrastructure across the site costing £48 million. We are making financial contributions of over £2.5 million to Hampshire County Council to fund public transport services and improvements. This includes providing a new bus service linking Augusta Park with the town centre, upgrading existing bus stops and Andover’s bus station, and installing bus-priority measures on local roads. Over £150,000 is being put towards the improvement of local cycleway / footpath connections to key destinations and we are providing new residents with £50 vouchers to go towards buying a bicycle or cycling equipment. In addition we are contributing £50,000 to Test Valley Borough Council to fund a community travel plan co-ordinator. By the end of 2014 we had spent £8.5 million on road engineering works, including off-site improvement works to the Enham Arch roundabout. We are making £4.2 million contributions towards local road works, of which we had paid £2.3 million by the start of 2015. In addition we have spent £2.9 million on utilities works, including the replacement of electricity pylons carrying two overhead cables across the northern part of the site with underground services. Overhead pylons have also now been grounded to the southern side of the development. Two local centres covering four hectares will be built at Augusta Park. The centres will include a range of facilities and services for use by the local community, such as shops and a pub. Designated areas for recycling glass, paper, plastic and other common household waste items will also be provided at each local centre. We have completed a new permanent community centre, which is now open and has been handed over to the local authority. We also hope to open the Northern Local Centre at the development by the end of 2016, subject to planning permission being granted. The Endeavour primary school, for which we provided the necessary land and made a substantial financial contribution, has been built and is now in use. We are making a total education contribution of £12 million, of which we have paid £7.5 million to date. We are also paying £1.45 million to Test Valley Borough Council as a community works contribution, some of which will be spent on projects outside the site boundary such as helping to fund the refurbishment of ‘The Lights Theatre’ on West Street in Andover. Large areas of landscaped open space have already been delivered and we have retained old farm walls made of flint as features within these areas. As the build programme continues we will be delivering equipped children’s playgrounds of various sizes and multi-use games areas within the public open space, while a new sports pavilion is now open. 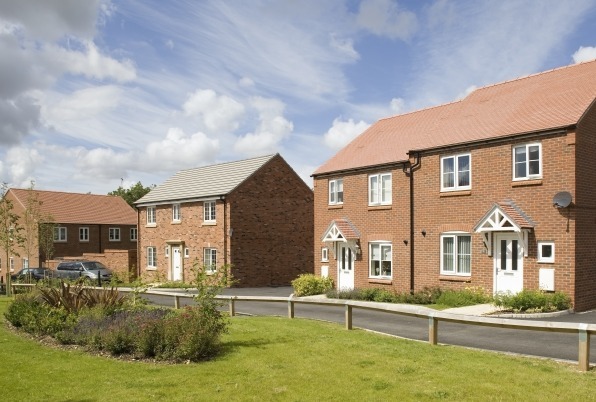 Working in partnership with a registered provider, 40% of the new homes on the development will be affordable homes. The affordable homes are being built to Code for Sustainable Homes level 3 and selected plots also incorporate renewable technologies.